In an era, where the world is coming closer thanks to technology, we are going farther away from our traditions and culture. But even in today's world if there is a brand that brings to you the best of both worlds, it undoubtedly has to be Baaya Design. 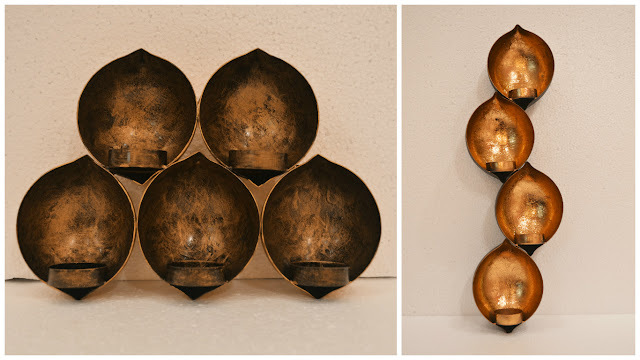 A venture by Shibani Jain, Baaya was set up with the objective of bringing traditional and tribal Indian art with a contemporary twist into our homes and work spaces. Baaya works with various art groups across India, at the grass root levels and bring their work to us by innovating design and infusing modern day materials. If you are a So-Saree reader you would know that we are a huge fan of Baaya and its merchandise, and it is for the simple reason that it combines traditional art forms in our everyday lives. For this festive season, Baaya has come up with various gifting options. Whether you are looking for Karwa Chauth gifts for the ladies in the family or Diwali gifts for friends, relatives or even your employees. Baaya is offering a festive range of products that are not only artistic and unique but reasonably priced. 1) Make In India: By buying Baaya merchandise you will be contributing to the Make in India campaign and every purchase that you make will bring happiness and joy in some remote village in India. 2) Promote Indian Art: Since Baaya combines traditional art forms in their merchandise, you will be helping to promote the traditional art forms of India which would be lost eventually due to lack of patronage. 3) Eco Friendly: Since majority of Baaya products are made from natural materials, you are adopting a green way of life. And, now without further ado, lets check out the amazing gifting options that Baaya has come up with for Diwali and other special occasions. 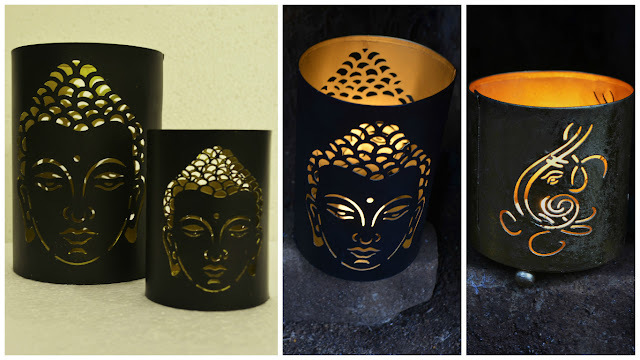 Buddha lanterns can illuminate any space and create a serene environment. 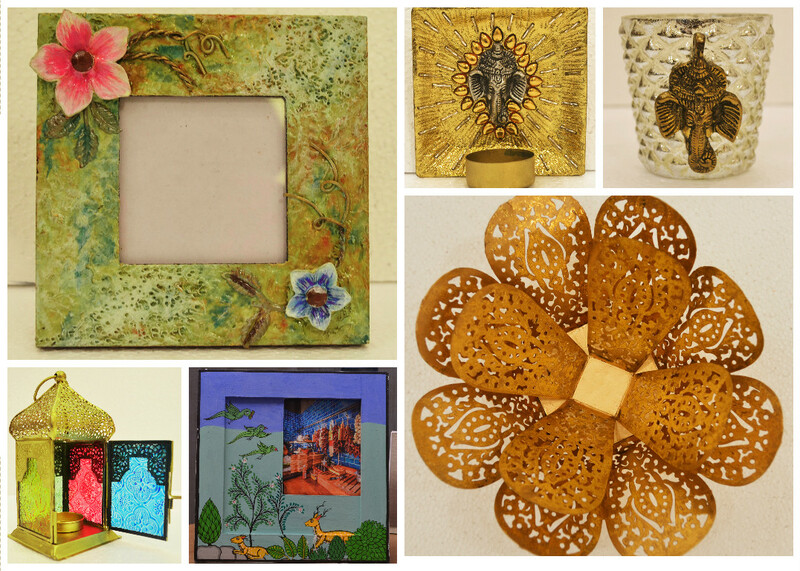 They have intricate cut outs and a unique finish and will make a beautiful gift for your loved ones. This lantern range is inspired by the third eye of Lord Shiva. Just like the divine eye, these lanterns ooze positivity when lit up. The Designer coasters are not only useful, but they are so much fun too. You can stack them as they are in their boxes or create patterns as you like. These coasters are perfect gifts because they combine utility with creativity. 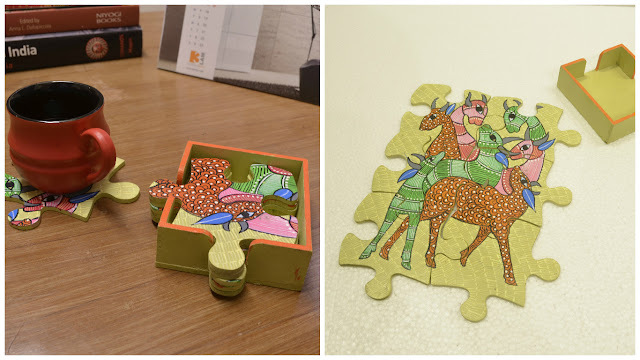 These Gond Art coasters are unique because they come in a jigsaw puzzle form, so that you can have some fun while trying to put the puzzle together. 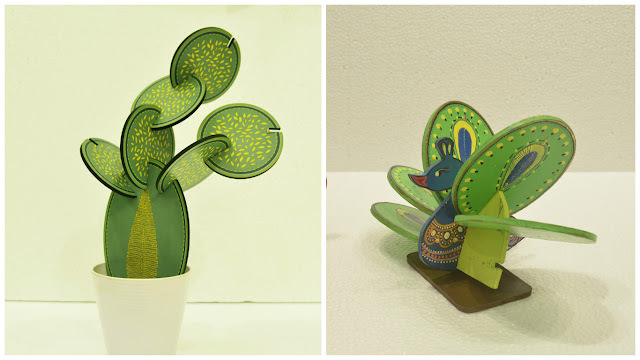 Plus the beauty of Gond Art make it even more attractive. 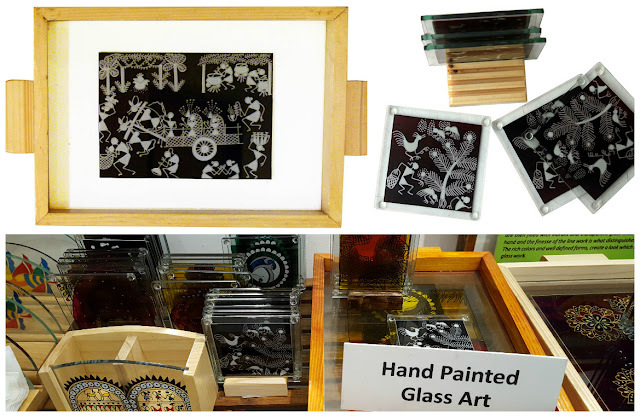 These hand painted Glass Art in the form of coasters and trays are my favourite and I already own a few pieces from their collection. These hand painted Warli art mainly use a very basic graphic vocabulary: a circle, a triangle and a square. The central motif in these ritual paintings is surrounded by scenes portraying hunting, fishing and farming, festivals and dances, trees and animals. These will be a centre of attention at any home, you gift it to. Other than these, Baaya also stocks some unique hand made/hand painted photo frames, dokra art T-lite holders, Moroccan style hanging lanterns and much more to make your festive season even more colourful. Baaya accepts bulk orders with the minimum order quantity being 12. For more inquiries, comment below or email at anupriya@baayadesign.com or kunal@baayadesign.com. I love Baaya designs a lot. They do lovely wall art also and I am a fan. They have a lovely collection! These are indeed beautiful and unique pieces of diwali gifts with baaya design that anybody would love to receive. Employees from http://essaywriting.education/ actually now have an idea how to buy gift for next year's celebration.